Agency Power Shift Knob - Dezod Motorsports Inc - Home of the automotive performance enthusiast since 2002. Agency Power is constantly providing you with stylish new items for your vehicle. 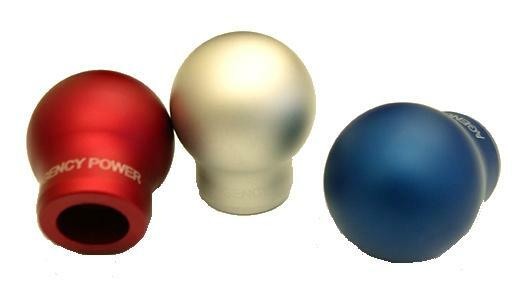 Agency Power Shift Knobs are available for most tuner cars. Aluminum design, good fit for the hand, and weighted right for fast and precise shifts. Designed to work with the factory reverse mechanisms, each shift knob is anodized in red, blue, or silver and laser engraved with the Agency Power name.